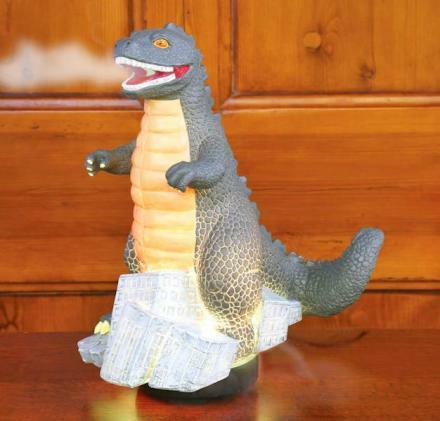 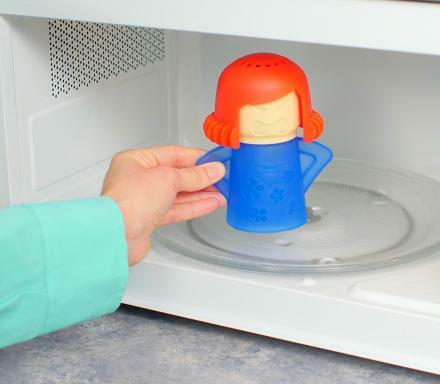 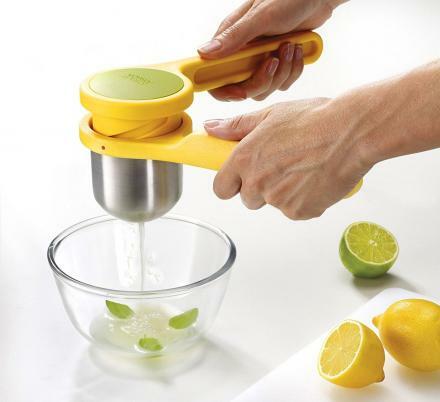 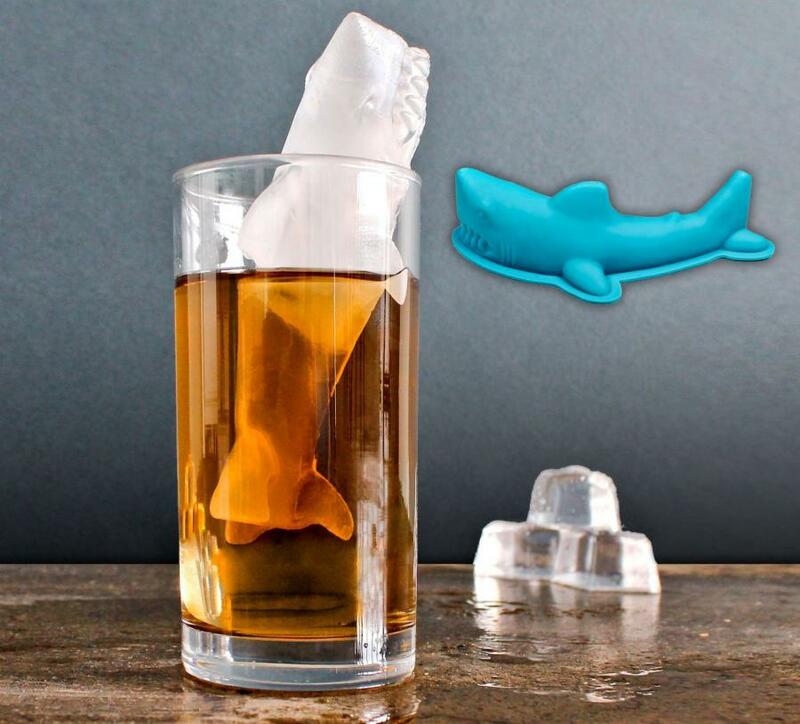 Similar to the various ice cube molds we've featured in the past that allow you to create ice cubes in various shapes and forms, including a Lego man, penguins and polar bears, a Jurassic park water ripple, cats, a mountain, the USA, and various others, this ice mold allows you to create an ice cube in the shape of a giant shark. 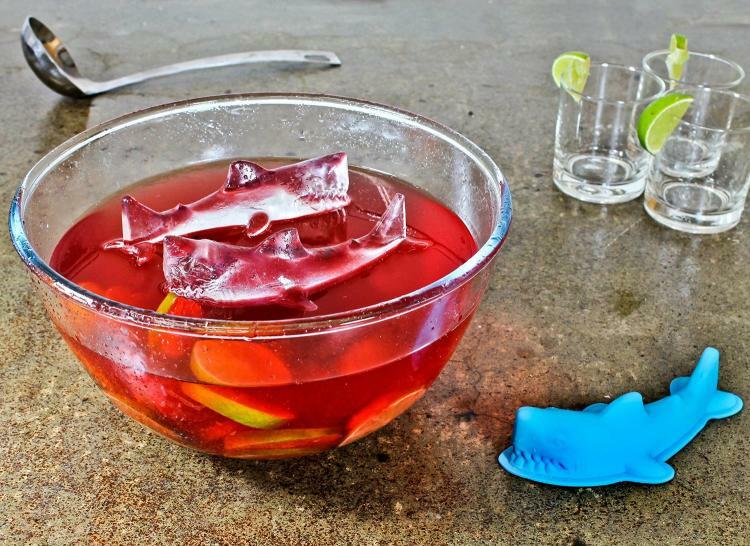 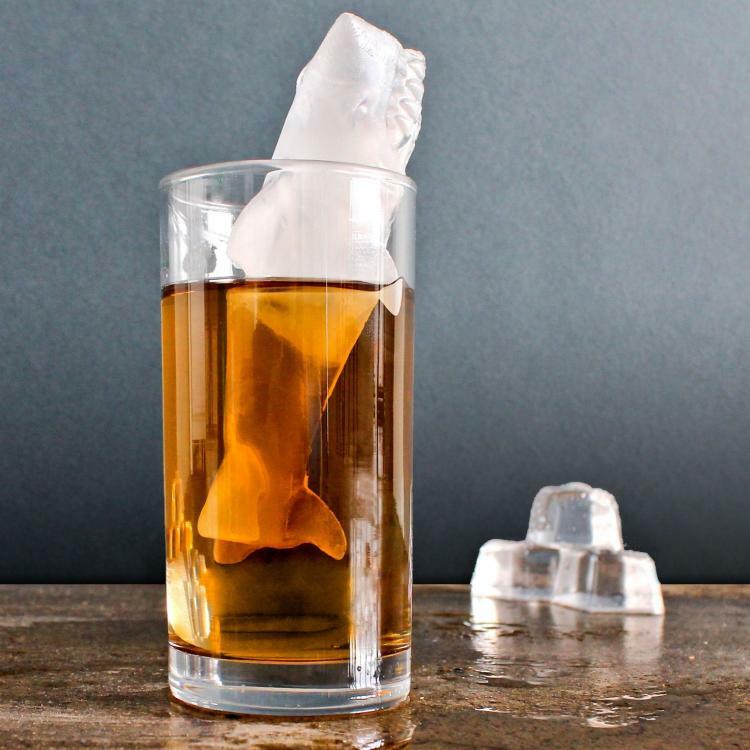 Perfect to stick a few into a punch bowl to make it look like the punch is infested with sharks, or just to jam into your cocktail and have a massive shark made of ice protruding out the top of it, the 3D shark mold takes the full shape of a shark with no flat edges at all, like you might find with other ice molds. 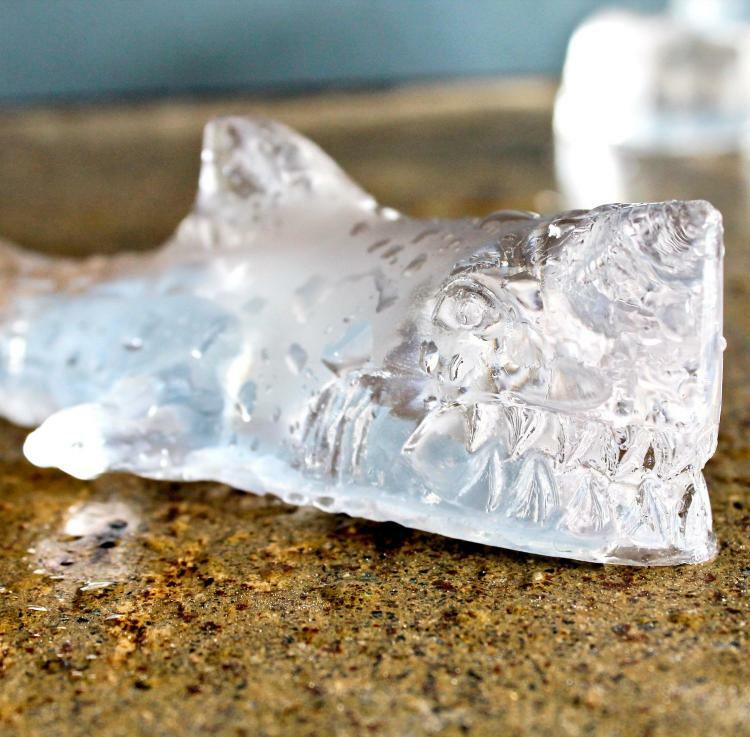 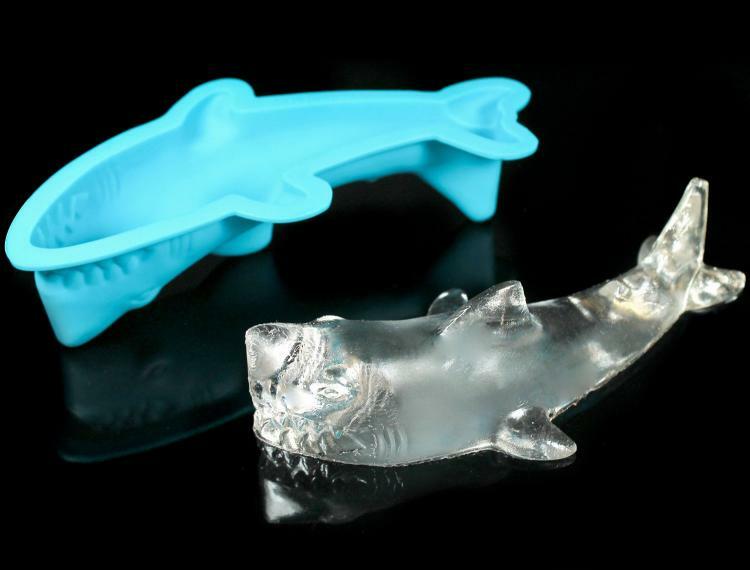 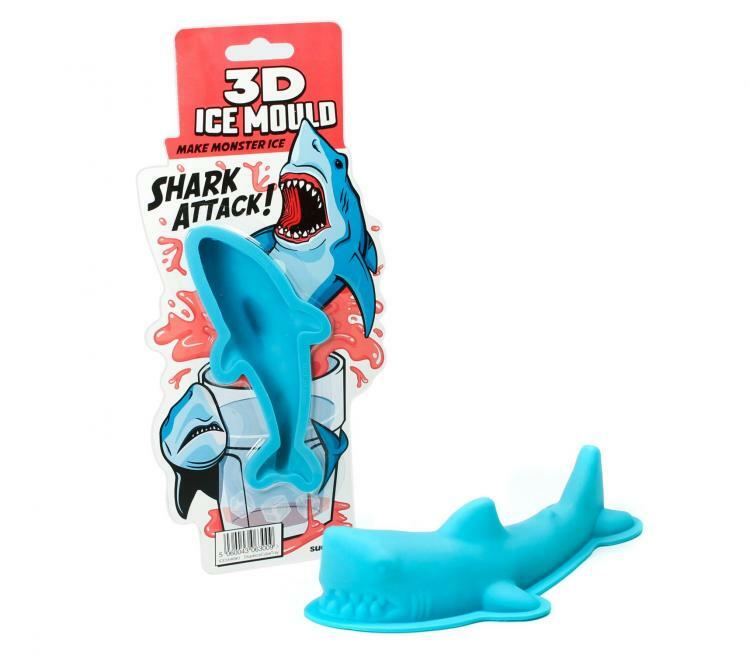 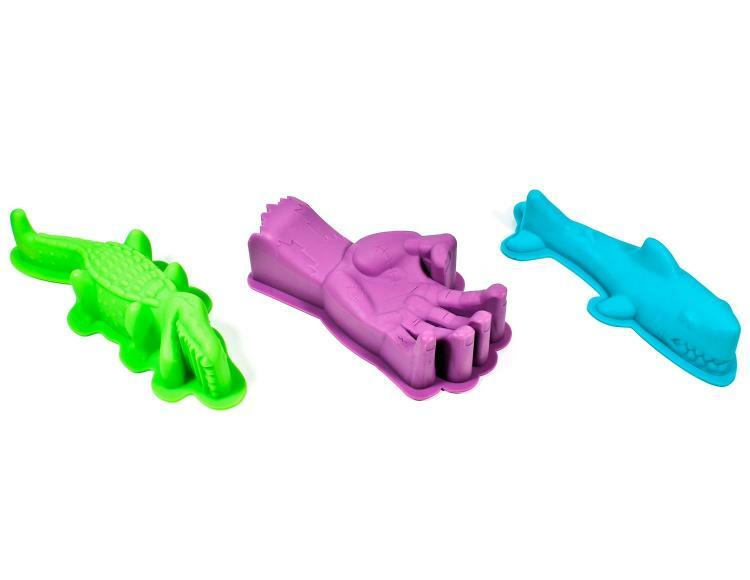 The 3D shark shaped ice mold is made from silicone, is cleverly designed to stay flat in your freezer without rolling around and spilling the water, there are two companion 3D ice molds to also collect including an alligator and a zombie hand (these do not come with it), and it measures 6.2 inches long x 2.4 inches wide including the fins.